It's a week of KidPages! Yesterday I featured three of Bradley's recent favorite books. Today it's three-year-old Maxwell's turn. By far the hardest part about writing this post was narrowing down Maxwell's recent favorites to three. That kid has some serious book stamina. He is quick to try new books but also loves to latch onto a few and hear them over and over again. Basically, he just loves books. Mike is a dog--the biggest, meanest, toughest dog in the neighborhood. Everyone is afraid of him, and he likes it that way. Then one day, he finds a little bunny in his car. He tells the bunny to beat it, and the bunny does. But the next day, he comes back...and he brings a friend. The day after that, three bunnies await Mike. And on the fourth day, Mike is confronted with four soft, cuddly, and (Mike hates to admit it) adorable bunnies. He is mortified! He can't be seen with four bunnies! His image will be absolutely ruined! But the bunnies want to go into the monster truck show so badly, and Mike decides that it doesn't matter what other people think of him--he can be friends with anyone he wants to! 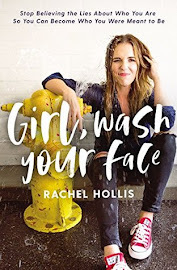 The first time I read this book, I loved it; the message came through loud and clear: you are your own person; no one else dictates who you are or what you can be. That's a great message, right? For anyone, young and old, but especially for kids because they are so influenced by what their friends think of them, and they are bombarded with peer pressure every day. 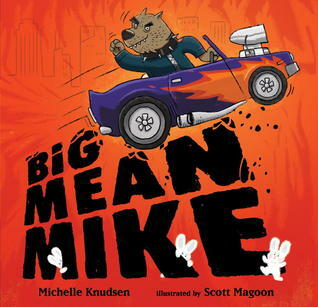 However, I almost didn't share this book because the more I read it (which was a lot because Max couldn't get enough of it), the more I took issue with Big Mean Mike because he was just that: big and mean. Embracing his friendship with the bunnies didn't change his behavior towards all the other animals. If anything, he was even meaner because he was anticipating having to defend his friendship. Plus, I guess if he had turned into a "nice" dog, that would have undermined the message of "be true to yourself." But aren't there some behaviors we all agree it would be a good idea to eliminate regardless of whether or not they're an inherent part of your personality? Hmmm, it is a conundrum. You can see that you could definitely go either way with this book, but in the end, our whole family liked it so much, we chose to focus on the first message. It would have lost so much of its comedic power if Mike had turned nice all of a sudden. The contrast between him and the bunnies is so striking, it's really very funny. (When the bunnies first show up, they look so soft and sweet, you almost want to reach out and touch them, whereas Mike, with his spiky dog collar and vicious mouth, looks like something you'd run away from.) And I will say in Mike's defense, he never does anything cruel to anyone else--he's mostly just a little rough around the edges. I choose so many of our books based on book lists and recommendations that I always feel especially proud of myself when I pick up a great one straight off the library shelf. 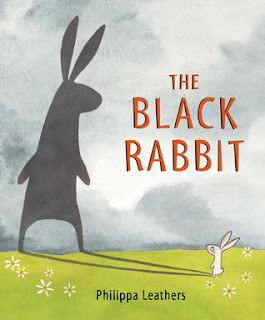 The Black Rabbit was one of those books, but I'd be surprised if it doesn't start showing up on a lot of lists in the near future. A rabbit is on his way home when he gets the distinct impression that he is being followed. He turns around, and there is an enormous black rabbit right behind him. He takes off, but the black rabbit is just as fast as he is and follows him everywhere. He finally loses the black rabbit when he darts into the cover of a forest. But there, he meets a wolf. He tries to get away, and just as he is about to be eaten, the black rabbit comes to save him. In case you didn't already guess, the "black rabbit," is actually nothing more than the rabbit's shadow. This is obvious from the beginning, which makes it the perfect book for a three-year-old. Max tends to be a little bit sensitive when it comes to scary things, so I think he secretly loved it that he knew the black rabbit was just a shadow, but the rabbit didn't. It gave him a distinct advantage and also let him enjoy the story without fearing for the rabbit's safety (until the wolf came along, that is). This is Philippa Leathers' first picture book, and I am so hopeful that she'll write and illustrate many, many more. If this book is any indication, she understands kids: it's a little bit suspenseful, a little bit funny, with a great twist at the end. I would even go so far as to put a Caldecott vote on it. Really spectacular. 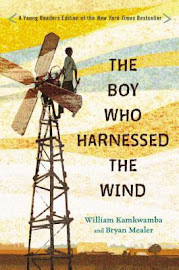 Speaking of the Caldecott, this one was on about a million lists last year. And even though I saw it mentioned early on, it took me awhile to check it out. (There seem to be a plethora of "Oh No" books, so I think that is maybe why I didn't give it proper notice.) 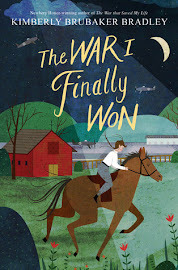 But when we finally did take a look at it, it became an instant favorite (and I actually like it better than any of the books that won Caldecott recognition this year, which is kind of a shame). There is a deep, deep hole in the jungle, and all the animals keep falling into it: first a frog, then a mouse, then several more. Each time one falls in, they all realize he's trapped and shout, "Oh, no!" But things take a definite turn for the worse when Tiger slinks over, looks in the hole, and licks his teeth. The situation doesn't look good. But then...the ground begins to shake, and pretty soon there's only one animal left in the hole, and I'll bet you can guess who it is. The illustrations in this book are marvelous. You would think things could get a little boring in a deep, deep hole, but Rohmann finds a dozen different angles and vantage points from which to showcase the setting. Plus, each animal is unique and engaging, and there are some great action shots (a loris in mid-fall, for example). But as much as I love the illustrations, it is the text that (for me at least) makes this picture book really stand out. It's one of those books where you don't have to think about how to read it; you just read it, and you instantly fall into a sort of hypnotic rhythm: Loris inched down from her banyan tree. / Soo-sloow! / Soo-slooow! / Loris inched down from her banyan tree. / Soo-slooow! 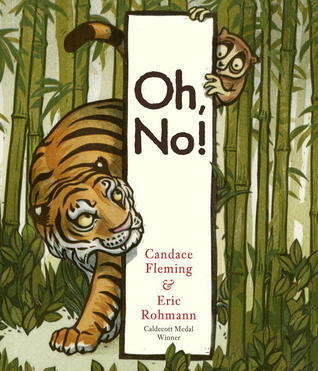 That, combined with the repeated refrain, "Oh, no!," makes this an awesome read aloud. Max isn't the only one who loves it, and lucky for him, he has plenty of takers who will read it to him (even Aaron took a turn reading it yesterday). And that's it for Max! Well, okay, now that you mention it, I do have a few more I could mention: I'm the Biggest Thing in the Ocean, Walter the Baker, Railroad Hank, Oh No George!, The Boy Who Cried Ninja, and A Color of His Own. Up next: Aaron's recent favorites! P.S. I'm sharing this post with the Kid Lit Blog Hop and The Children's Bookshelf. We'll have to look for these. You'd be so proud-we've been going to the library every week! Thanks for sharing your recommendations with us in the Kid Lit Blog Hop. I would have had a very, very difficult time narrowing to just three. I love the concept behind The Black Rabbit. I might still get that one for my son even though he's older.